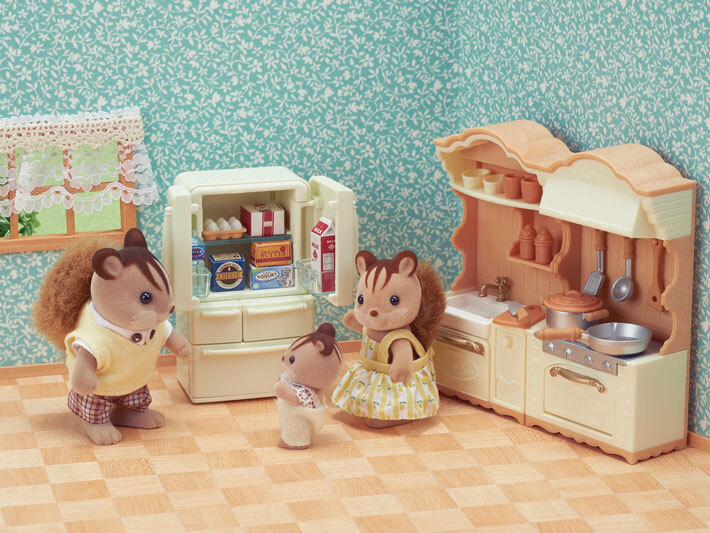 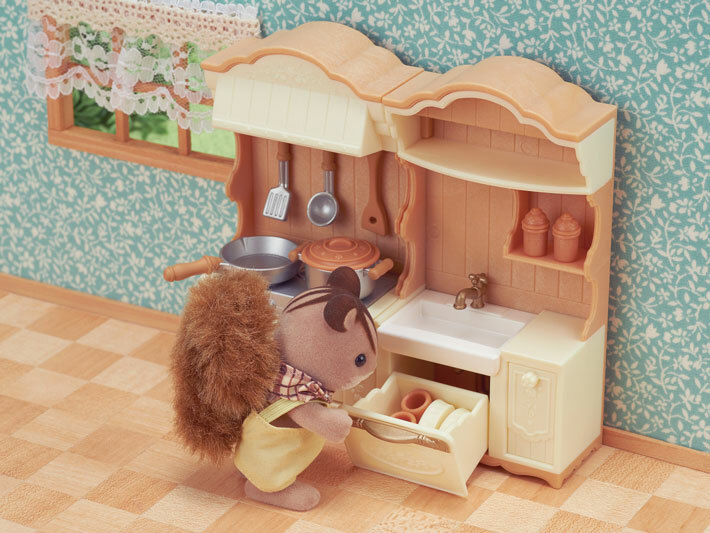 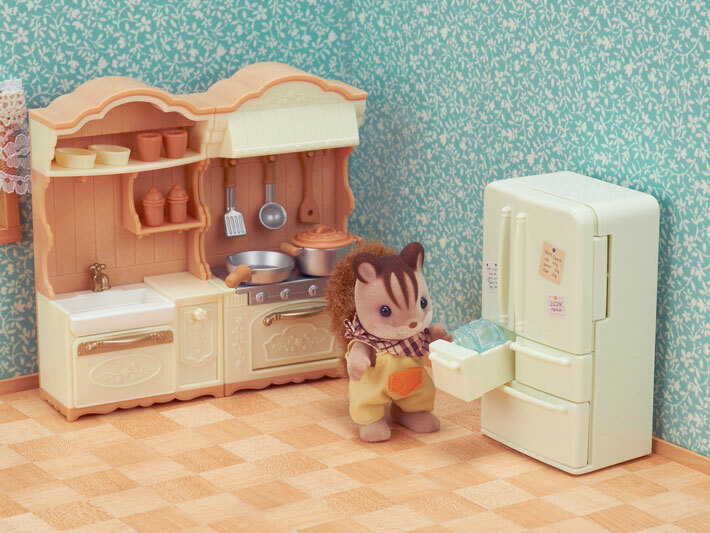 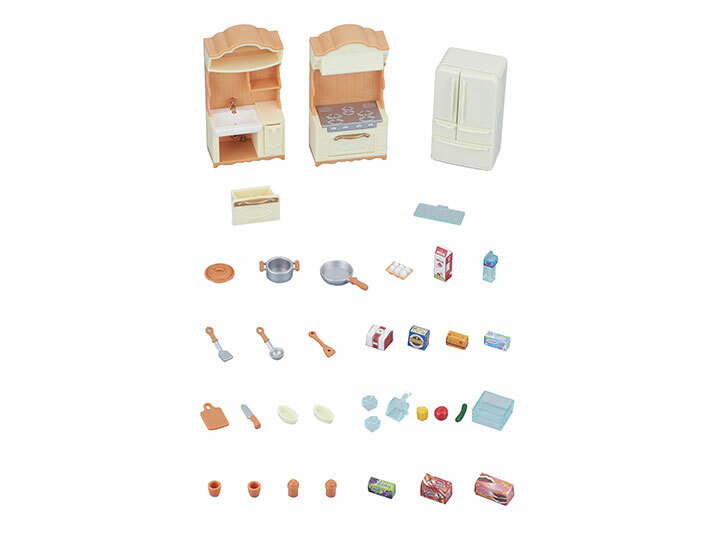 Kitchen Play Set includes a double-door, three-drawer refrigerator, stove unit, and sink unit. 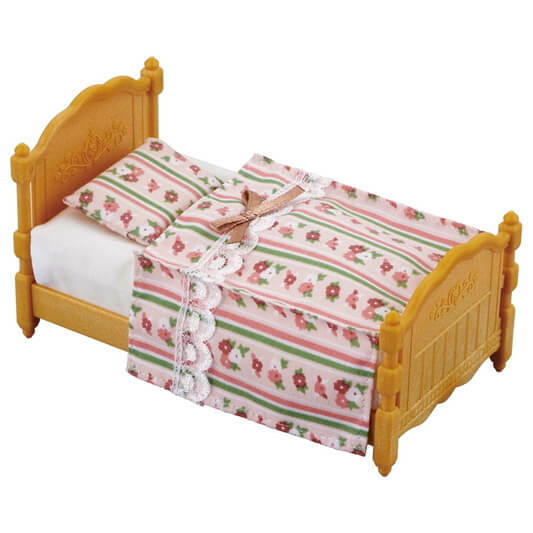 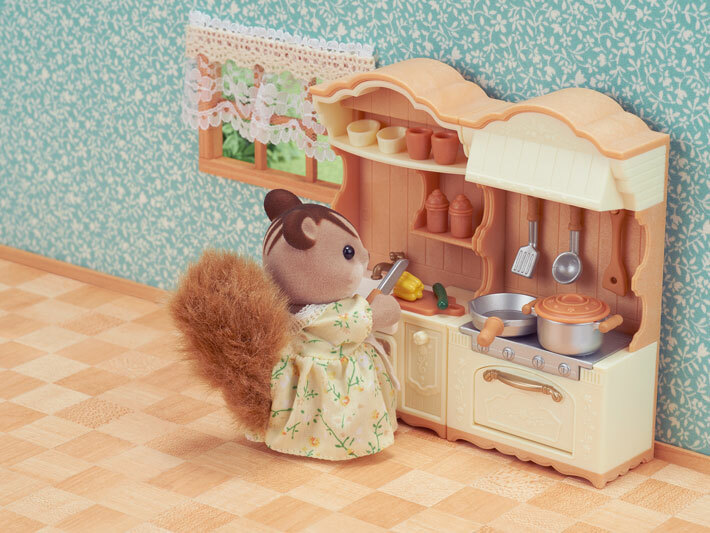 Includes cooking utensils, ingredients, and other small accessories. 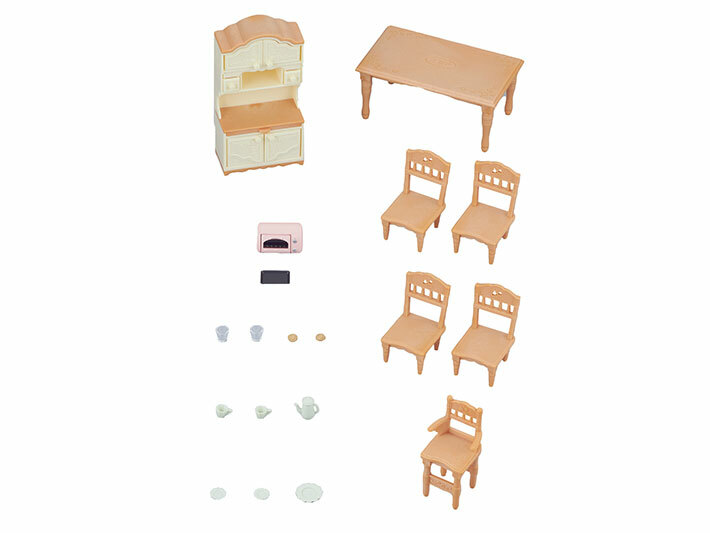 •Furniture set with accessories: stove unit, sink unit, refrigerator, cooking utensils, vegetables, ice, etc.